Image 2160792: Slices of loaf of baguette. 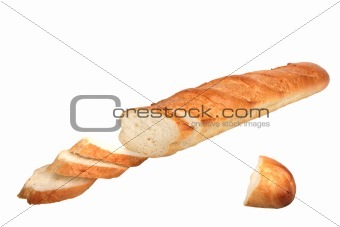 Image Description: Slices of loaf of baguette. Close-up. Isolated on white background.